is that clunking noise normal? Not normal no. The axle nut should prevent that from moving like that. Now the axle should move a little because of the travel of the suspension but not when sitting still and with no suspension movement. it was strange, that play was there then I drove half mile and it was gone, then appeared again.. both sides.. not consistent. Here's my 2016 with the Traxda kit - trimmed the body mount spacer up front and the pinch rail to clear the 305's, everything else is stock. Where did you get that LED bar for the front? Been looking for one. There is a thread on LED light bars. Unfortunately because some members used a 3rd party hosting site (Photobucket) those pictures have disappeared. 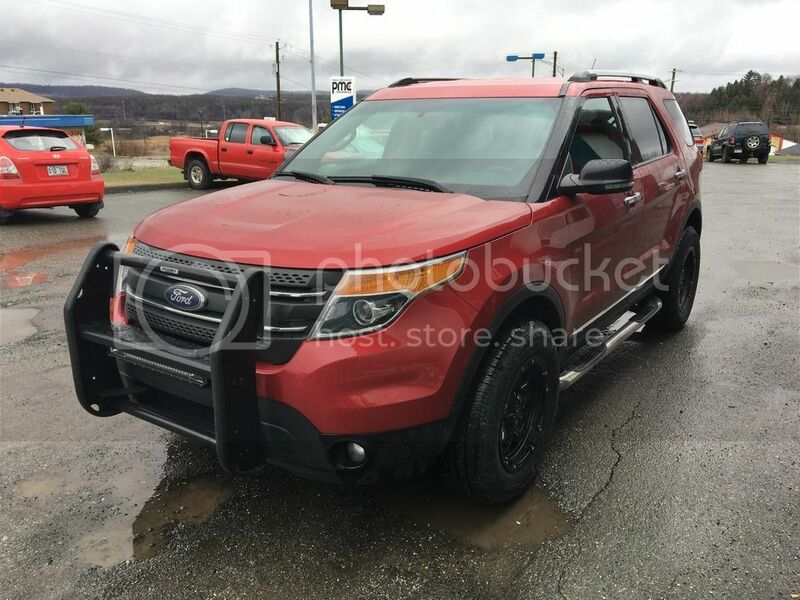 Hi All, brand new to the forum and first time Ford Explorer owner. I have a 2016 Grey Sport and recently installed the Traxda front 2.50” (2.25” plus an extra 0.25” spacer) and rear 1.25” kit. I was surprised when the car measured out from 32 to 33 1/2 (1.50” lift) in the front after installation and from 33 1/4 to 34 3/4 in the rear (1.50” lift). Wondering if anyone else installed this lift on a sport and what their before and after measurements were. Thanks in advance and this is a great forum. Thanks Peter, I cannot seem to find how to add media to be able to upload a a photo here, I am obviously not a premium member which might be the issue. A $20 Elite membership will allow you to load photos right from your device. It also helps to support the Forum. http://www.explorerforum.com/forums/index.php?account/upgrades You can also use a 3rd party picture hosting site (not photobucket) and link to it. There might be other ways but I've never looked for any. OK here’s an easier question. 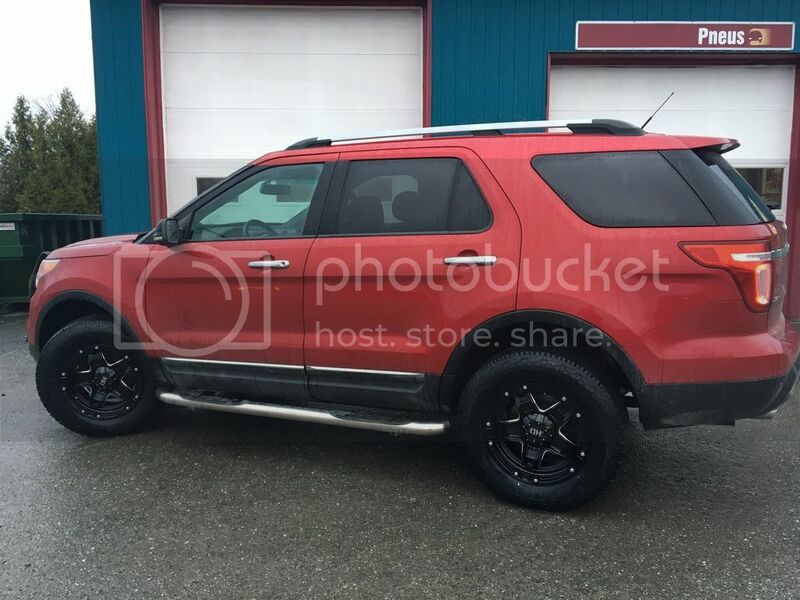 Can someone with an explorer sport 2016 and above measure from the ground to the bottom center of their plastic wheel wells. Trying to gauge stock ride height of other sports. I own a 2016 explorer limited and i installed Traxda lift kit for it (That was the only option for my SUV on the market as of right now. So i wonder if there's any kinda customization lift so i could go 4 to 5 inches higher (total). Have you contacted Traxda directly? I know they offer add-on spacers/shims to add additional lift to some kits. While they may indeed, it doesn't seem to be a very good/wise thing to do. To add an additional 5 inches to the already existing lift would certainly change the center of gravity and make it more prone to roll over. Not to mention it would probably negatively affect the drivetrain and suspension system and possibly other electronically controlled systems programmed to operate within the factory specs. If I install the 1.25" Traxda on the front, will it allow me to fit bigger tires on the front and rear? I don't like the front and rear lift from Traxda as I want it to be leveled. 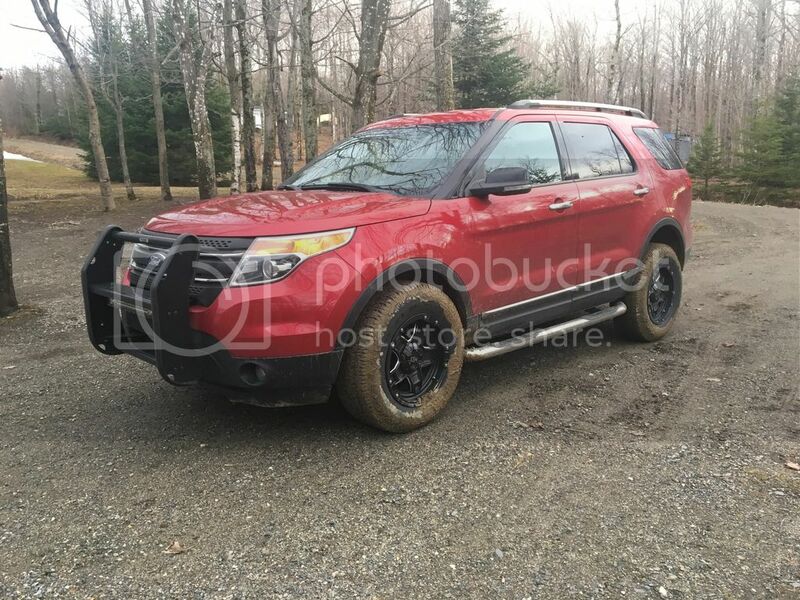 Hi All, I got in contact with Traxda this week and sent them the specs on my 2016 Explorer Sport after the installation of their 2.25” F and 1.25” rear. Needless to say they were not very happy to hear that the kit didn’t end up leveling the car and will be working on an Explorer this Friday to possibly R&D a new kit to ensure they come out level. I’ll keep you posted. Thanks for the heads up. I returned my kit after chatting with you. I'll hold off until they get the issue fixed. There is probably a reason most vehicles, especially SUV'S and trucks are a little higher in the rear. I believe it may have to do with the headlights. If you put weight in the back, the truck will sit level. If the back was level to begin with, the weight would cause the back to drop lower than the front and when the headlights are on they would shine higher. Not good for oncoming traffic or when following another vehicle. If you level the Explorer, you should make sure that your headlights are still adjusted correctly whether you have weight in it or not. Here is an update from Canada. At this time I had no suspension issues. The vehicle is sable and fun to drive. Here are some pictures.